The Business Canvas is a place to capture and develop those Ideas that relate directly to the overall Business, whereas the Product Canvas is a place to develop your Ideas relating to a specific Product within the Business. The canvas default is the Business Model Canvas, but you can also use the Lean Canvas or a custom canvas. Sections are also customizable. Switching to the Kanban view allows you to move Ideas between sections and prioritize Ideas within sections. 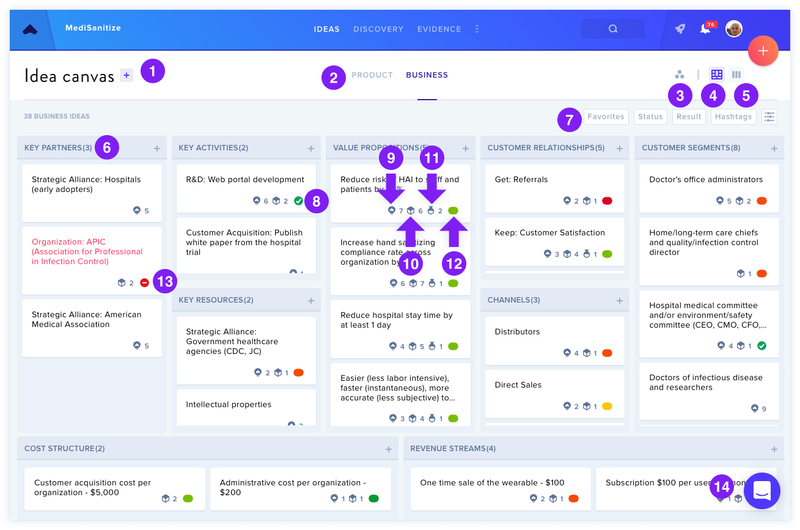 Ready to start filling out your Product Canvas? Click here.